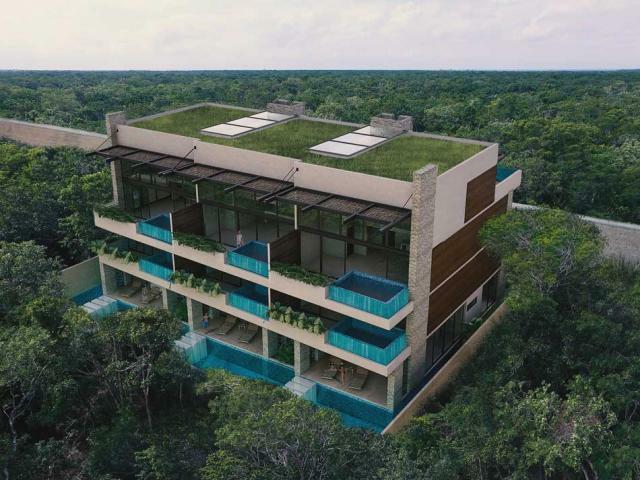 Aguasanta Tulum is a unique boutique Residential development located in the Majestic community of Aldea Premium, a new development inside the privileged Aldea Zama community of Tulum, Mexico. It is home to 9 exclusive residences. 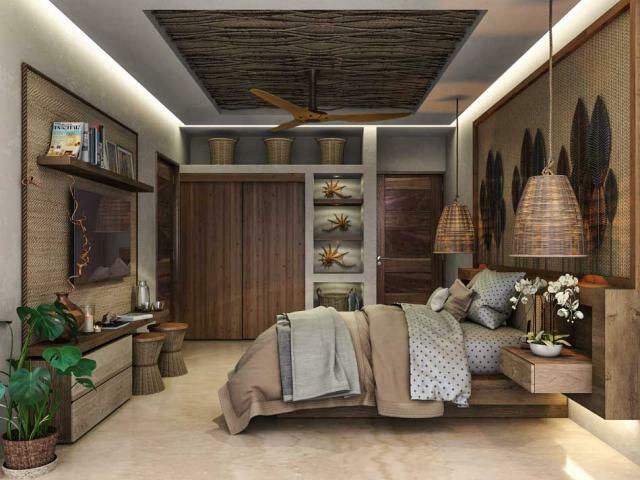 • 6 residences with 2 bedrooms with double “Lock-off” feature. • 3 lofts with 3 bedrooms with triple “Lock-off “feature. 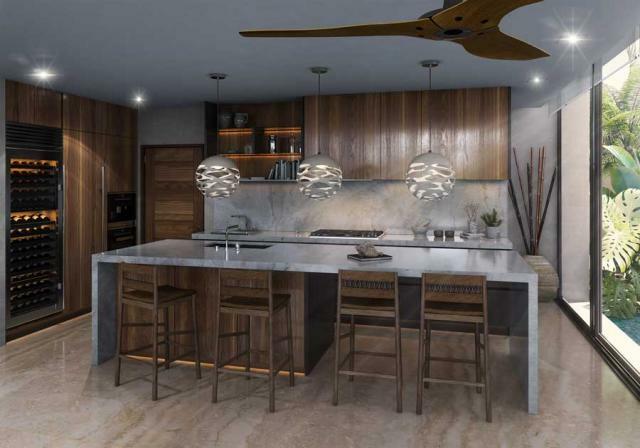 Aguasanta Tulum is born to honor the most important and sacred element in existence, water. It represents life, energy, flow, flexibility, and balance. • There are 12 pools in total, over 200 square meters of pools. 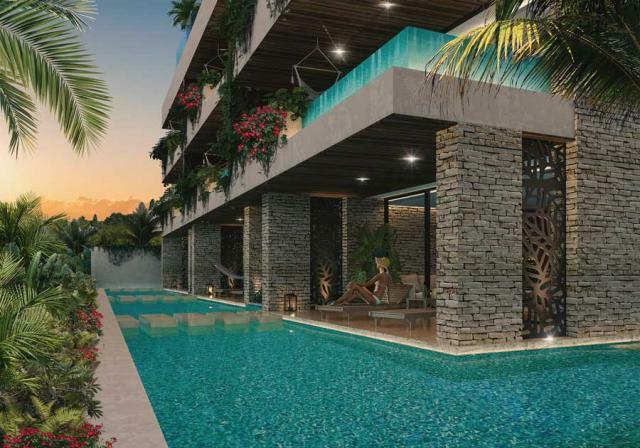 • All 9 units have private pools. 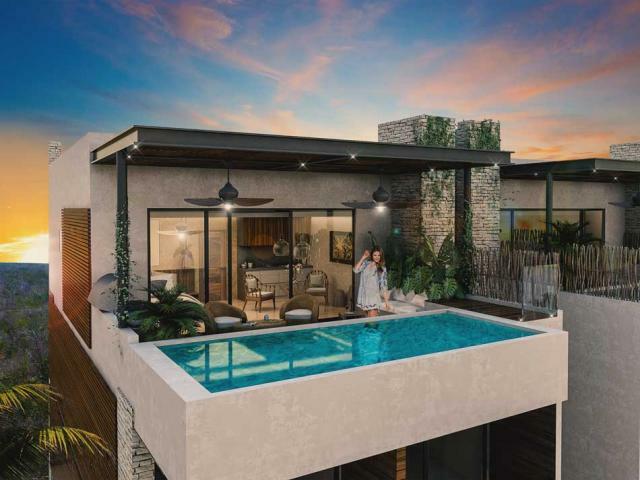 • The 3-bedroom penthouses have 2 private pools each. • Efficient water recycle system. Aguasanta Tulum is lifestyle, it is inspired by the magic, possibilities, mystic and natural wonders of Tulum. • Astonishing jungle views. • Direct access to Selva Zama’s Art Park. • Incredible night views of the sky and vibrant stars. • Beach Club access. • Home to the largest system of underwater rivers and caves in the world (minutes away). • 3 kilometers to some of the best beaches in the world. • 5 kilometers to the world renounced Mayan Ruins. • 5-minute walk to Aldea Zama’s commercial area (boutique restaurants, bars, and services). 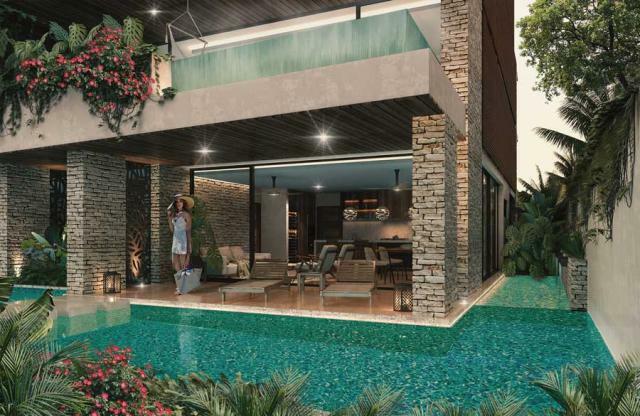 Aguasanta’s flexible design gives its owners the opportunity to experience a very private and personal stay while being able to maximize and explode their investment. 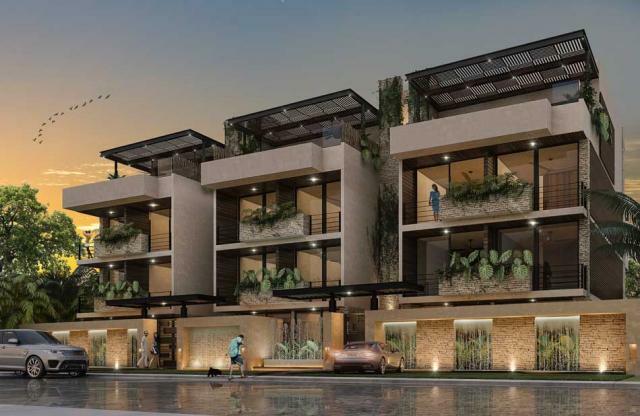 • 3 towers • 2 entrances • Controlled access (security on site) • Private parking (1 per residence) • Aguasanta features a unique “Lock-off” (separating a unit into multiple rentable/usable units) option on all units. • Regional high-end custom-made finishes on all units. • Custom-made “artisanal” furniture packages. • Open and spacious living room areas. • Private hangout terraces with pools, bar and BBQ grill. 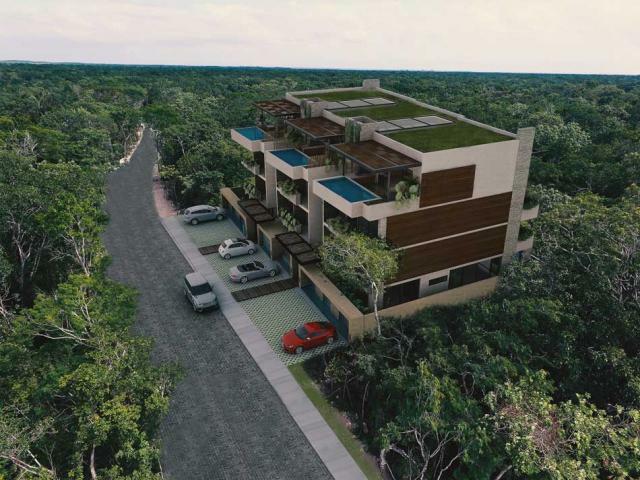 Invest in your dream, invest in Aguasanta Tulum. • Delivery date: December 2019 • Pre-Construction pricing available now. • Developer financing plans available. • High Return on Investment.